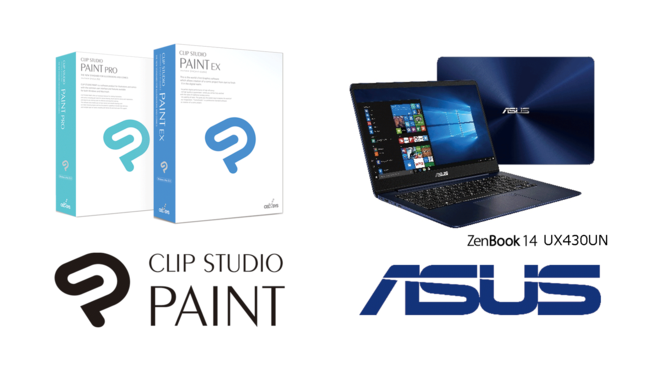 On March 18, 2019, Asus Japan announced its range of computers ideal for Clip Studio Paint, the illustration, comic and animation software developed and distributed by Celsys, Inc. This line-up includes the Asus ZenBook 14 UX430UN (UX430UN-8550) and the Asus ZenBook Flip S UX370UA (UX370UA-8550). These devices has been confirmed as having ideal specifications for Clip Studio Paint, with full capabilities to handle drawing, manipulation of 3D models, filters, and more.